Everyone’s favorite theater-obsessed pink mountain lion will gain a new series (after a brief backup appearance), after a backup appearance in a March annual. Writer Mark Russell and artist Howard Porter will write the story. The regular series is to start in September or October, according to Russell. 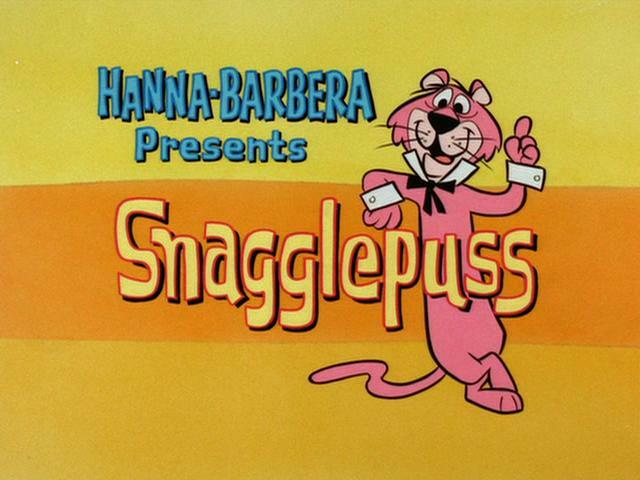 Snagglepuss debuted in 1959 on “The Quick Draw McGraw Show,” as a character appearing in a few episodes. When Yogi Bear got his own show a short time later, Snag got his own backup segment. Snagglepuss’ shtick in his shorts was pursuing his interests in culture, particularly theatrical acting. However, Snag had to worry about hunters, as he was usually a wild animal. His mannerisms are supposedly based on Bert Lahr’s Cowardly Lion from the 1939 “The Wizard of Oz” film. As such, he’s a flamboyant, but very hammy actor. The preview artwork shows him conversing with someone who’s presumably Augie Doggie (without Doggy Daddy). On the plus side, it sounds interesting as a premise. The series promises to use a few other older Hanna-Barbera funny animal characters. DC’s also no stranger to dragging its characters in front of 50s McCarthyist committees; see their first superhero team, the Justice Society. On the nitpicking side, I do wonder if it’d be bolder and more progressive to just write Snagglepuss as openly gay in his traditional all-ages format. DC doesn’t really need yet another “mature” book, but does need more younger readers. A few people on Twitter also have wondered if the book would be better served with an actual LGBT writer. The last one was Hanna-Barbera’s very first made-for-TV cartoon, debuting in 1957. It was a series of cliffhanger adventure shorts about a cat (Ruff) and dog (Reddy). Rather obscure choice for a comic story, even if Howard Chaykin is the writer. That said, this version’s take on the duo supposedly plays up on their obscurity. Here, they’re washed-up former big stars. Five Thirty Eight determines Batman and Superman are more "World's Finest" than "Versus"